Subliminal Guru – Get Two FREE Subliminal MP3 Downloads! Subliminal Guru MP3s are powerful subliminal audios that can change your life. 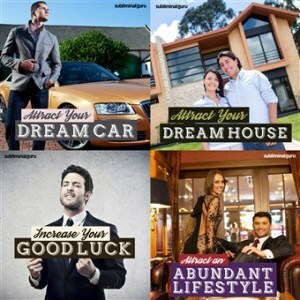 Attracting an abundant lifestyle. Losing weight. Confidence. Positivity. Brain power. Releasing phobias. Endless energy. Health. Creativity. Motivation. Whatever you want, just listen to the relevant Subliminal Guru MP3, and let it do all the hard work. 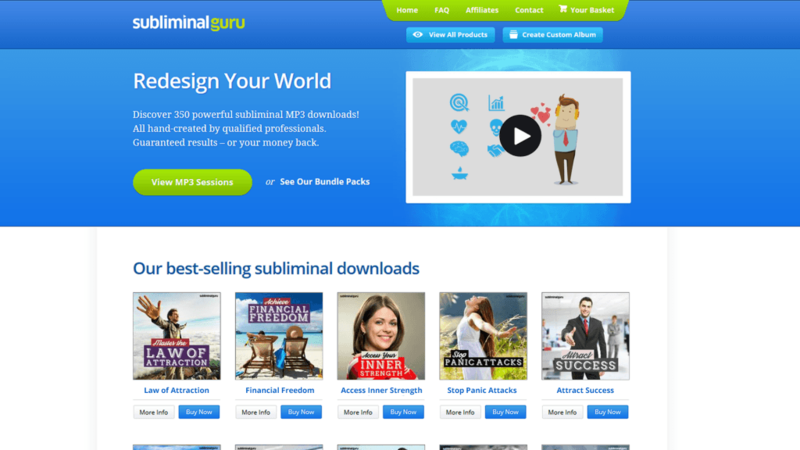 Subliminal Guru is offering to give you 2 FREE subliminal MP3 downloads, just to give you an awesome introduction to their site and subliminals in general. Get them HERE, and read on for listening instructions.. So What Are Subliminals And How Do They Work? Subliminals are affirmations – either auditory or visual – presented below the normal limits o f perception. It may be a sound that is inaudible to the conscious mind but audible to the subconscious, or an image transmitted briefly and unobserved by the conscious mind yet perceived subconsciously. In simple terms, a subliminal audio refers to sounds played at a level we are unable to hear, but that our subconscious mind is able to perceive. Subliminal visuals work the same way but with images instead of sounds. You may have heard that your mind is made up of a conscious element and a subconscious one. If you think of your mind as an iceberg, then your conscious mind is the part of the iceberg that you can see – about 10% of the total mass – while the rest is your subconscious. This gives you an idea of just how powerful your subconscious mind is. Now the conscious mind only works when you are awake. It has the ability to think logically and filter the information that reach your subconscious mind. On the other hand, the subconscious is always switched on. It doesn’t filter what you feed it – expose it to enough positive stimuli and it will have no choice but to incorporate those stimuli into your belief system. One of the reasons that subliminal audios are so successful is because they are able to ‘sneak’ new thought patterns directly into your receptive and impressionable subconscious mind, under the radar of your logical conscious brain. You may record the phrase “I am free to live the life I want!” then embed that phrase inside a piece of music. By using special audio techniques, you could ensure that the conscious mind barely hears the affirmation, yet it remains clear to the subconscious. You then repeat the affirmation over and over, effectively sending thousands of positive affirmations straight to your subconscious mind. In doing that, you rewire long-standing thinking patterns – and reprogram your mind at the deepest possible level. And What is Subliminal GURU? Subliminal Guru is a subliminal MP3 superstore. They are one of the largest subliminal superstores in the world – therefore they are able to offer you the very best possible prices. Every single MP3 on the Subliminal Guru site has been handcrafted by qualified professionals to help you change your life in the quickest and most effective way possible. All you need to do – really – is download your 10-minute subliminal MP3, hit play, and let the subliminals do all the hard work for you. You could play them passively in the background while you go about your daily activities, or while you’re sleeping. The subliminal affirmations will continue to soak down DEEP into your subconscious mind. Now you may start seeing results after listening for a couple of weeks. For the best results, I suggest listening every day for a period of at least 60 days. You can continue after that time as required, or simply listen as appropriate to further enhance the results you receive. Give it time. It really depends on how much you listen each day. Playing the subliminal MP3 on repeat while you sleep is one way of speeding things up. 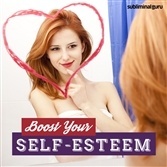 There is over 350 subliminal albums for instant download, covering everything from confidence to weight loss to abundance. They can also help you create your own custom subliminal album. Over 350 Subliminal MP3 Albums! Every Subliminal Guru album comes with 6 music mixes – Acoustic, Brown Noise, Rainfall, Relaxation, Stream and Workout. They each contain the same amount of subliminal technology, but with different musical styles. The music keeps the conscious mind busy, allowing the subconscious mind to tune in and focus on the subliminal messages hidden within. Each album also comes with a ‘Spoken Subliminal’ MP3, which combines subliminals and spoken words – this helps reaffirm and bring your desires back to the forefront of your conscious mind. It is recommended that you listen to ‘Spoken Subliminal’ MP3s actively/exclusively (i.e. you are sitting down, relaxed and listening exclusively to the subliminal MP3), and with headphones. The ‘Spoken Subliminal’ MP3 starts with the affirmations being read out loud. Then, different messages begin overlapping simultaneously, through the left and right audio channels, in addition to a background whisper mix. To the conscious mind, the resulting jumble of words is confusing. As a result, the conscious mind zones out, and you enter an almost meditative state. The subconscious mind however continues to soak up the affirmations, and bring powerful and positive changes to your daily life. The 7 mixes mentioned above are also available with brainwave entrainment added. Brainwave entrainment is a process whereby special tones are used to influence brainwave patterns, taking the listener down into a deeper, more receptive state of mind. So all in all, every Subliminal Guru album comes with 14 MP3s! If you are actively listening to a subliminal session, then using a brainwave-enhanced version will help increase the results you get from the session. If you are passively listening (i.e. it is playing on repeat in the background) to a subliminal session the brainwave-enhanced version will provide no additional benefit. Very Important Note: Do NOT listen to brainwave entrainment audio when driving or operating dangerous machinery, as it may induce a very relaxed state that may ENDANGER you in situations that require your direct attention. Here are a few other situations in which brainwave entrainment audio is not recommended. Another Important Note: Brown Noise is a type of fuzzy sound that can block out background distractions. So it is not advisable to listen to Brown Noise when you need to be aware of such noises, such as when you are driving or operating dangerous machinery. 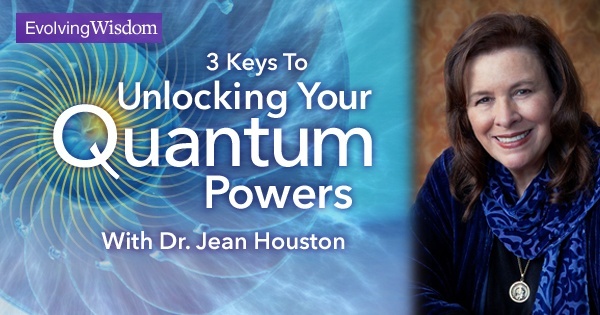 Listen to brainwave entrainment in moderation. Subliminals is a tried and tested formula for reaching your ideal weight, boosting brain power, sleeping better, increasing confidence, thinking more positively, increasing your good luck, adopting a millionaire’s mindset and much, much more. There are even urban myths about how companies and advertisers use these kinds of messages to persuade customers to act in certain ways! Listen to the subliminal MP3 passively (as you go about your day or while you’re sleeping) each day, or listen actively (exclusively) at least once per day, or do both – every day for two weeks, longer if you have deep-rooted negative beliefs in a particular area of life, to start seeing results. Give it time, and speed things up by playing the subliminal MP3 on repeat while you sleep – a GREAT way to have an additional 8 hours of brain training per day. Click HERE to get started with subliminals! I hope that you’ve enjoyed this review (please share if you do! ), and as always please do not hesitate to share any questions or comments that you may have regarding subliminals or Subliminal Guru with me in the comment box below. I WILL get back to you as soon as I can. See you around! 32 Responses to Subliminal Guru – Get Two FREE Subliminal MP3 Downloads! but not in this way. I have downloaded my free mp3 downloads and plan to put them to use. I am eager to try this method. I also love the uniqueness of the product. The fact that you use music and sounds to increase the effectiveness of message is fascinating. I pray many lives are changed as a result! I wish you well on your journey to inspire others to live wealthy healthy loving lives! Use them with discipline and share with us how it goes! Love this, I use these all the time, thank you for giving me some more ideas. This is a pretty interesting concept. I’ve long believed in the power of affirmations and this seems like a good offering to leverage one’s inner capabilities toward the achievement of defined goals (note the term ‘defined’ because I also believe strongly in directed effort). You’ve piqued my interest! Will do some more research. By the way, in response to your support for directed effort, note that the Universe knows better what really makes us happiest. So don’t try to control all the things that happen in your life. Sometimes we need to let go of what we think is good for us in order for something better to enter our lives. I love using subliminals, I feel it has really helped with my depression. I feel much happier these days. I will try your two free subliminals tonight. Thanks for the great information. Yes, please use them consistently for a few weeks and observe the changes that will take place! I have not heard of these before now, they are quite wonderful and think they will be very helpful in shaping our lives. This is psychology in full swing, the mind is the engine room that influences our thought patterns. I will consider giving it a trial. Thanks for sharing, all the best, God bless you. Hmmm, interesting stuff. I’ll have to have a re-read when the kiddos are in bed and I can digest what it says. It’s also a tad alarming if someone decides on nefarious uses!!! Maybe that’s just my ignorance of the subject speaking…. I’ll be back!!! No worries, you must have the desire to change for this wonderful technology to really work. Go for it! Actually it is the technology embedded in the music that changes your paradigm (subconscious conditioning). Yes, be sure to sample the free audios, you’ll be glad you did! This is interesting, I have a couple of hypnosis audio files that I listen to now and again, I haven’t found them to work all that much but sometimes they just help me relax… I might give some of these a try.. thanks! Yes, at least try out the (completely) free MP3s. You would not regret it! This is a great concept that you are sharing here, anytime you can load your mind with positive thoughts it will produce positive results. Great article, thank you for sharing. Hey Dean, well said :), and you’re most welcomed! That’s out of the entire screen! So your subliminal suggestions sound awesome! I’ve downloaded my free versions, and am excited to get started. Have a pleasant subliminal journey :). Share with me the breakthroughs you get! I’ve recently tried one of these to improve my concentration and relaxation and found it really works. It’s so important to use positive messages – things to do such as “losing weight easily” rather than negative messages – things to avoid such as “I don’t want to put on weight” as the subconscious doesn’t understand negatives and just focuses on the bit it does understand – i.e. put on weight in this example. Great post. Thanks. Well said, Sarah. Though I think a better example of positive messages would be “I am at my ideal weight” rather than “losing weight easily”. Hey Clark, what a fascinating article. I’ve never heard of this before and am really intrigued by the concept. If this really works then wow why haven’t we heard of this before. I think I will have to look into this more. Thanks for this interesting information. You’re welcome. Give the free downloads a go, then watch what happens! The mind is an amazing thing. I was interested to read that it never really rest and how much impact listening to the right stuff has on our subconscious. Wow I’ve never heard of this before. I’m going to bookmark your page to read more. I would love to change my life and it sounds like the place to start is here! It would be my pleasure to have you back here often :). Excellent post. Found it very informative and quite easy to follow. Good direction, the whole nine yards. Please do! Using it while sleeping would give your mind an additional 8 hours of reprogramming :).